No, I won’t do three separate posts for the three different versions of this video. The differences are too small for that to make any sense. They’re all here–at least when this post goes up they should be. We’re gonna back into the original version. First things first, the release date that I found is sometime in June of 1994. 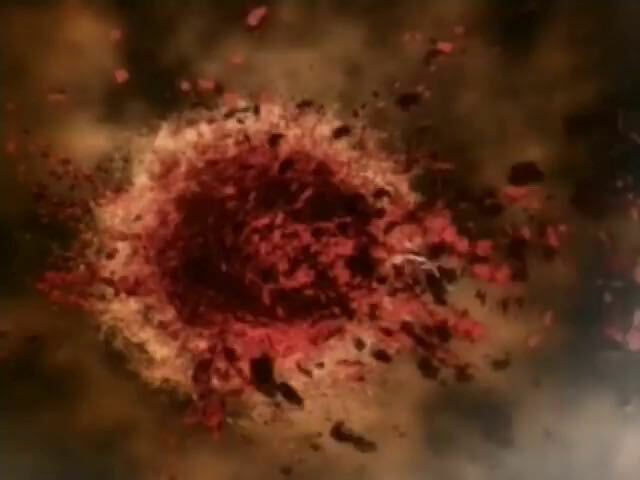 According to Wikipedia, a couple of weeks later, the blackhole most of us probably remember was added in to give us the version posted above. The second thing is that you’ll notice Cornell is wearing something around his neck. Apparently, that was a fork necklace given to him by Shannon Hoon of Blind Melon. Hoon would die one year after the release of this video. There’s a reason I bring that up. It leads to the previous version of the video. In this video you’ll see a side-by-side comparison of the two versions. 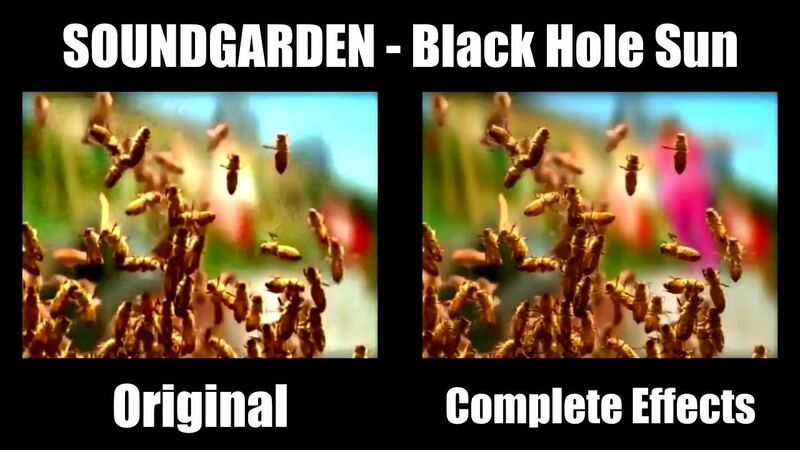 The black hole isn’t shown as much. Whether that’s good thing or not, is up to you. I prefer it being there. The other effects are different or missing. While the bees were in the original, the more explicit reference to the bee-girl from the music video for No Rain by Blind Melon wasn’t. I have no idea if that is Heather DeLoach or not. I didn’t come across anything that said one way or another. Regardless of whether it is or isn’t, I wonder why she wasn’t there to begin with. Maybe they weren’t sure they had the rights. Seeing as Shannon Hoon didn’t pass away till over a year later, my guess is that someone looked at that shot and thought the reference would go over people’s heads, so if they were going to give the video a facelift anyways, then put her in there. Thank you, YouTube comments. I wouldn’t even know the following version exists without them. I hate those sections, and usually wish they would go away, but this time they lead me to this alternate, or uncensored version. 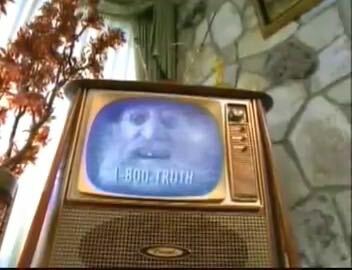 The only thing I noticed here is that the guy on the TV in this one has the phone number 1-800-TRUTH displayed below him. I didn’t see any other differences when I watched it. 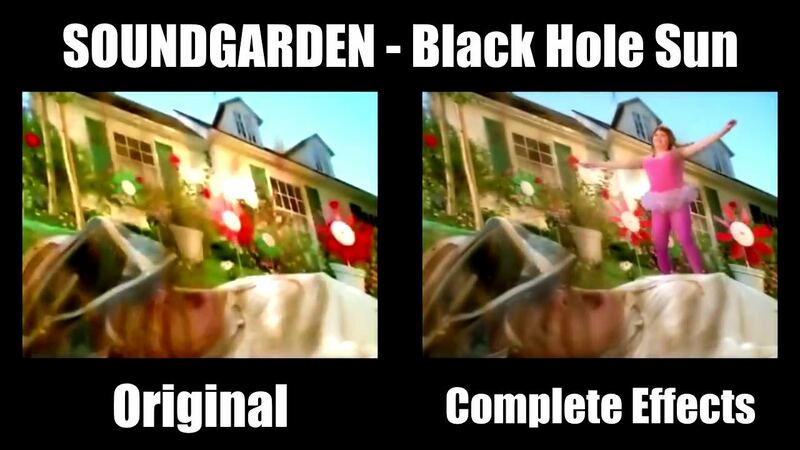 There could be since someone mentioned that the black hole is missing. I didn’t notice it missing any less than the second version. I could be wrong though. They succeeded at that. I always wondered why they looked so disinterested. 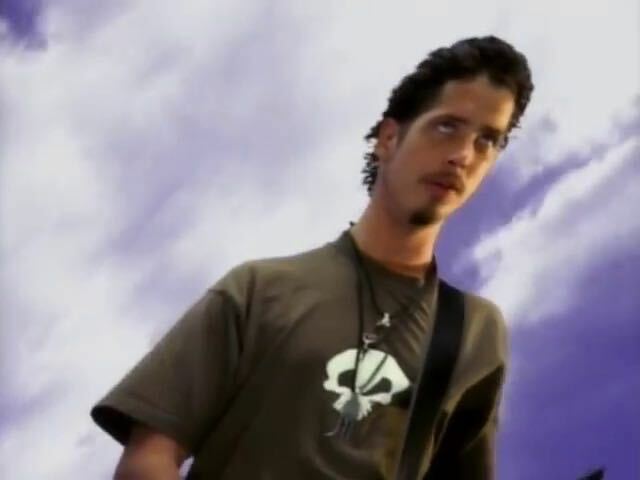 However, Thayil said that it was one of the few Soundgarden videos they liked. Them looking the way they did makes them look like they are the heart of darkness at the center of this black hole pulling this Blue Velvet-like idyllic landscape and characters towards their destruction. If you want an analysis of the song, then look at the video below. It’s kind of funny watching that knowing Cornell said he wrote it in about 15 minutes. When I was kid in middle school to high school, I knew about this video, but it was past its rotation time. It would pop up every once in awhile. Today I’ve seen it plenty of times. Then, it was like a 5-6 minute event to get to see it again. There are numerous credits attached to this video. The first is director Howard Greenhalgh. He’s done over a 100 music videos. Megan Hollister produced it, Ivan Bartos shot it, Stan Kellam edited it, and both Ian Bird and John Wake did the specials effects. They all seem to have stuck to music videos. This entry was posted in music video and tagged Howard Greenhalgh, Ian Bird, Ivan Bartos, John Wake, Megan Hollister, music video, Soundgarden, Stan Kellam. Bookmark the permalink.